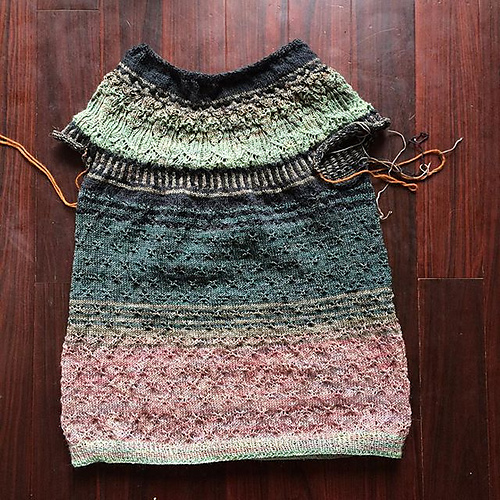 Do you know of this lovely sweater by Caitlin Hunter? As soon as I saw it I fell in love! See now two things happened here. 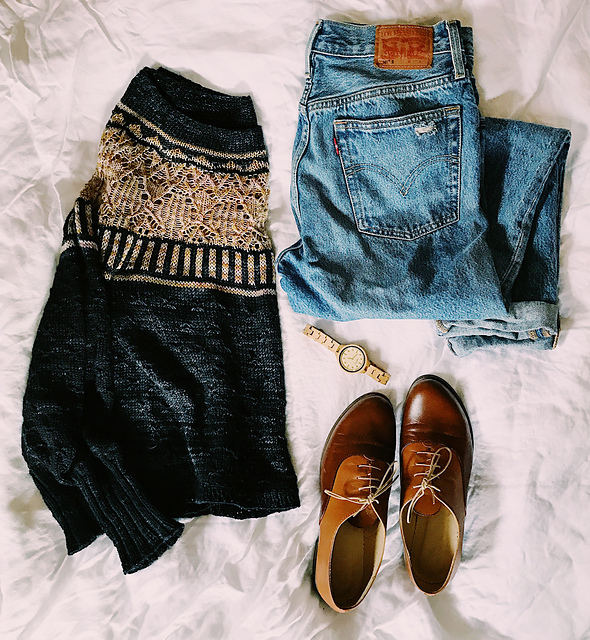 The first thing, I wanted everything in this photo, right down to the shoes! It was me, all of me. The second thing, I had quite a bit of sock yarn left over from my new years' resolution of knitting a pair of socks every month, for one year. I was determined to use up all of my leftover sock yarn! Besides, I also had agreed to not buy anymore yarn for 2018. 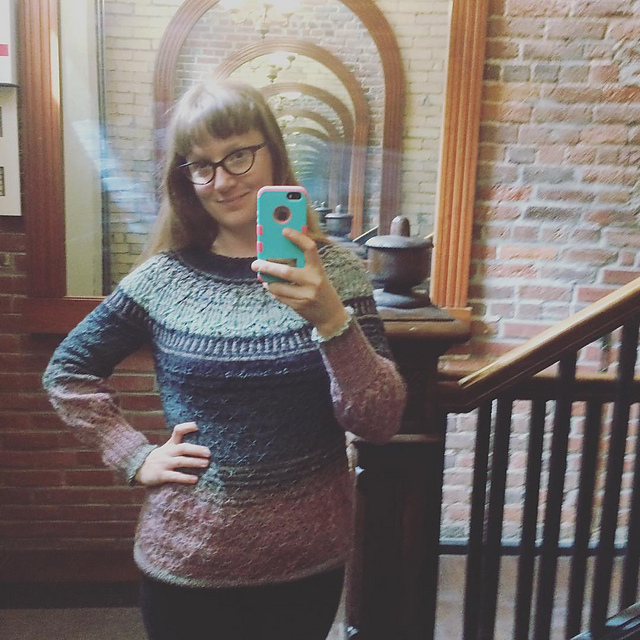 As I was madly knitting my sweater match, I started to play with the idea of creating a fade like affect into the sweater.